Ask Our Experts: Better Building Envelopes - Zero/Six Consulting, LLC. THE BUILDINGS LIFE CYCLE WILL BE SEVERELY DIMINISHED AND CAN INCUR COSTLY REPAIRS IF THE ENVELOPE DOES NOT PERFORM AS INTENDED. MEET DANIEL HODGE, RRO Beginning in operations for a large waterproofing company, Daniel learned the building envelope trade from the inside out. He rose quickly at Zero/Six as his full comprehension of exterior envelope became increasingly apparent. As Vice President of Operations and Senior Envelope Consultant, Daniel plays a vital role in all day-to-day operations with a focus on building lasting relationships across all markets. Daniel has been in the construction industry for over 15 years, with a deep technical and project management background, he is well-versed in building envelope components and construction methodology; his comprehensive knowledge ensures that every job gets done correctly and safely for both employees and owners. Daniel has the unique ability to quickly assess and advise his clients on the best value solution and implementation strategies for their projects. Have questions about windows, walls, or roofs? Ask our qualified experts your most pressing building envelope, roofing, and commissioning questions and we’ll deliver you the answers in our next newsletter. Send your questions to info@www.z6consulting.com. Q. WHAT IS A BUILDING ENVELOPE AND WHAT DOES IT INFLUENCE? A. 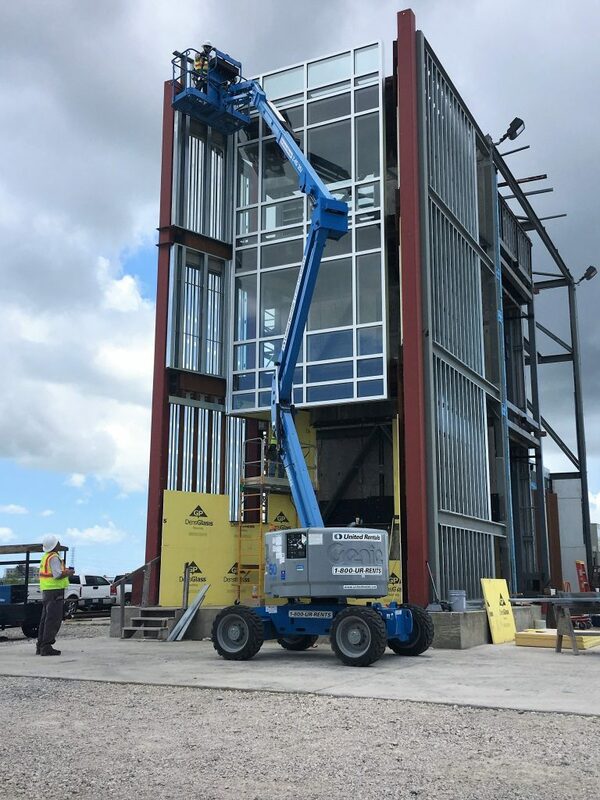 In short, the envelope is a barrier between the exterior and interior climate; components of the building envelope are glazing systems, weather resistive barrier systems, waterproofing systems, roofing systems and a multitude of options in regard to veneer systems. I like to envision the envelope similar to the “domes” utilized in the movie Total Recall…with a not as dramatic, but similar reaction when they fail. We may not all die an instant death due to lack of oxygen, but the buildings life cycle will be severely diminished and can incur costly repairs if the envelope does not perform as intended. Q. WHY IS THE BUILDING ENVELOPE IMPORTANT TO SUSTAINABILITY? Q. WHAT ARE SOME COMMON WEAKNESSES IN THE EXTERIOR ENVELOPE? A. Penetrations….Penetrations…Penetrations!!! It is very seldom that leaks occur in the field of the wall or roof. Look for tricky intersections between dissimilar materials and areas where different trades meet (i.e. roof to wall intersections). On our full-service new construction projects, we love to test what we call the “unique material interfaces” at the end of the project to ensure we’re all tightened up. This is typically our most economical endeavor throughout the project, yet has saved countless of “uh-ohs” throughout the years.